Homeowners hesitant about installing a new roof often wonder why they should invest in something that is only meant to keep the elements out. The thing is, replacement roofs are much more than that. An old and leaky roof doesn’t just expose you to the elements; it also takes value away from your home. The truth is, an old roof that bubbles and has fading paint and missing shingles is an eyesore for your neighborhood. Getting a roof replacement is enough to transform your home—from looking rundown to being the most attractive one on the block. It is also one way to update your exterior design. New roofs give you the opportunity to pick new colors and styles for your shingles, creating an all-new look and feel for your home. Well, not all, but most of them. 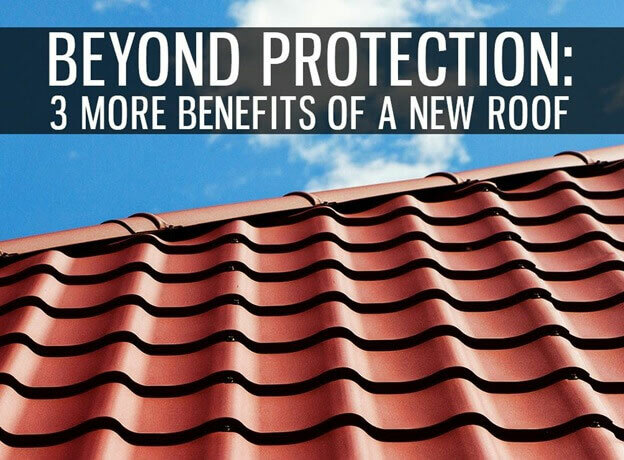 A new roof can be costly to install, but when it comes right down to it, it will bring money back to your pocket in no time. The majority of your home’s energy escapes through the walls and roof, and if your system has holes in it, it could be worse. Installing new roofing in Michigan with energy-efficient materials, such as our asphalt shingles, can help keep your bills down. It can also improve the comfort levels in your interior. While your home serves as your personal sanctuary, it’s also important to look at it as an investment. Getting a new roof can increase your home’s value, whether you plan to put it on the market soon or not. If you’re not confident picking an ideal roof replacement, expert roofing contractors in Michigan can recommend the best option for your home. Kroll Construction has been serving local homeowners for over 50 years, so rest assured we could help you get the most of your investment. You can call us at (888) 338-6340 or complete our contact form for a FREE consultation. We look forward to working with you!